Keep this handy bag in your car trunk for any occasion. 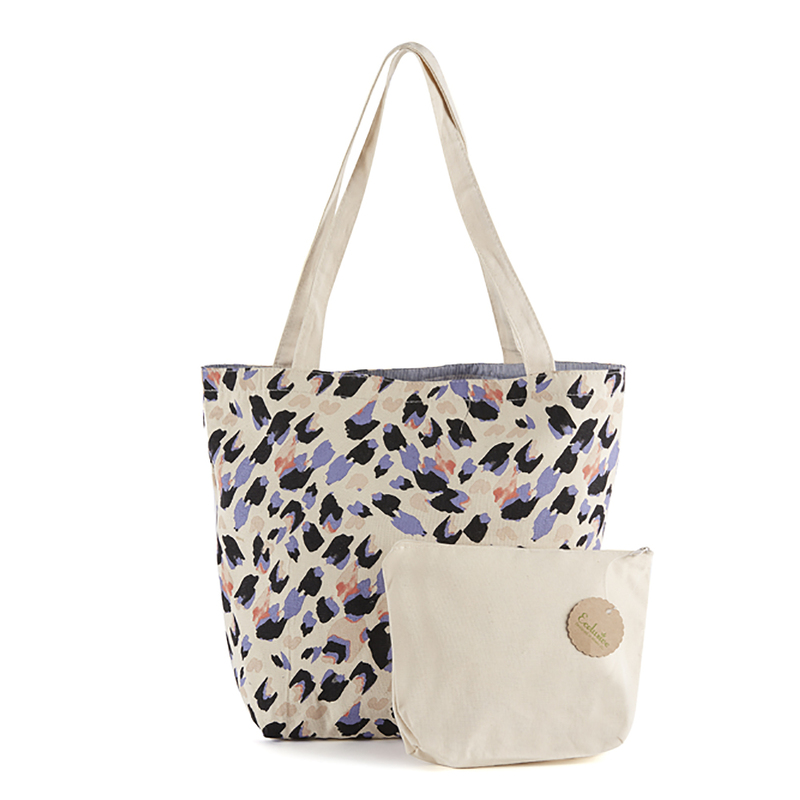 Do away with all of those plastic bags and shop in style with this canvas totes. These stylish bags are good for any casual occasion whether you're going to the beach, shopping, school, or just need a little something extra to transport items around. It’s lightweight and the perfect carrying size for any purpose. You'll contribute your part in preserving the environment with this natural beach bag made of 100% cotton. Choose from a fun assortment of color variations to fit your unique style. Ecolusive totes are designed with a pocket inside and comes with an additional zipper pouch to store loose items and even the bag itself. It can also be used as a wallet or wristlet. No harmful chemicals were used when manufacturing this product as there was approximately 33% less ink used to design the prints on the tote yet, it will not fade. The fabric is tightly woven together to prevent fraying. Wash on delicate setting and tumble dry low, or lay flat to dry.